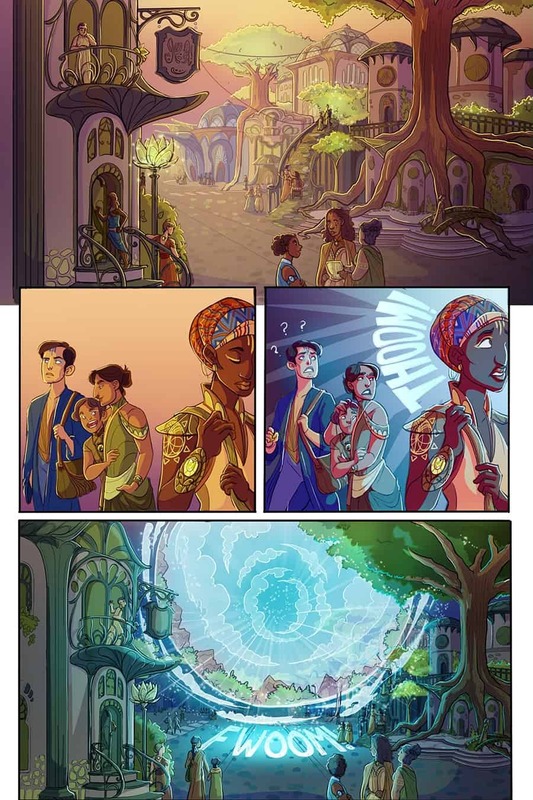 Visual Development alumna Myisha Haynes retraces the routes she’s taken to become a working artist in the gaming industry. Before she became a visual development artist, Myisha Haynes was sitting at her day job as a receptionist for a legislative analyst’s office when she realized she needed a change. She wanted to go back to school for art and didn’t waste any time in taking control of her career. Within the same year, she applied to Academy of Art, a university she had kept her sights on since she was a high school student in Sacramento, California. Not long after, she enrolled full-time as an M.F.A. student, following her passion at the Academy’s School of Visual Development (VIS). Since graduating in 2014, Haynes has settled in to her home in Berkeley and works as a production artist at mobile and social gaming developer, Playstudios. She has been able to forge a career path that fits her aspirations, but Haynes still takes the time to reflect on the journey and decisions that brought her there. 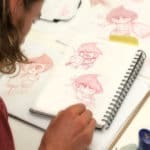 Partnering with fellow Academy students in the School of Game Development, Haynes worked on various processes to create art for games—particularly social and mobile games. As a result, a career in gaming become much more accessible to her. She landed an internship at GSN Games, where she worked as a game artist with the creative director and former Academy instructor, Lawrence Valenti. When a mass layoff rattled the company in 2016, Haynes said she didn’t feel bad when she was let go. By then, she had made inroads into the gaming industry and built a valuable few connections. Not to mention, she had already scheduled a trip for an annual “Star Trek” convention in Las Vegas to meet stars from her favorite series, Deep Space Nine. Within a few weeks, Haynes landed an interview at Playstudios, where she’s been ever since. As a production artist, she works on casino-themed Facebook games, developing what she refers to as “meta-features.” She’s also worked on holiday-themed puzzle games, including a Halloween Frankenstein puzzle in which players collect body parts. 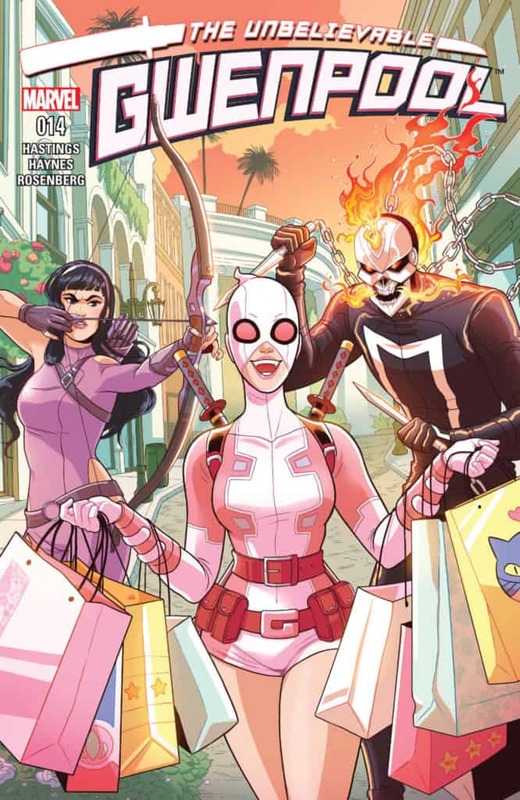 The Unbelievable Gwenpool is a comic book series published by Marvel Comics that Haynes works on. While working with other artists focused on color and lettering, Haynes focused on the pencil and ink drawing. She completed 20 pages in five weeks, which she confessed was a little challenging to balance with a full-time job. See Haynes’ name in the top left! 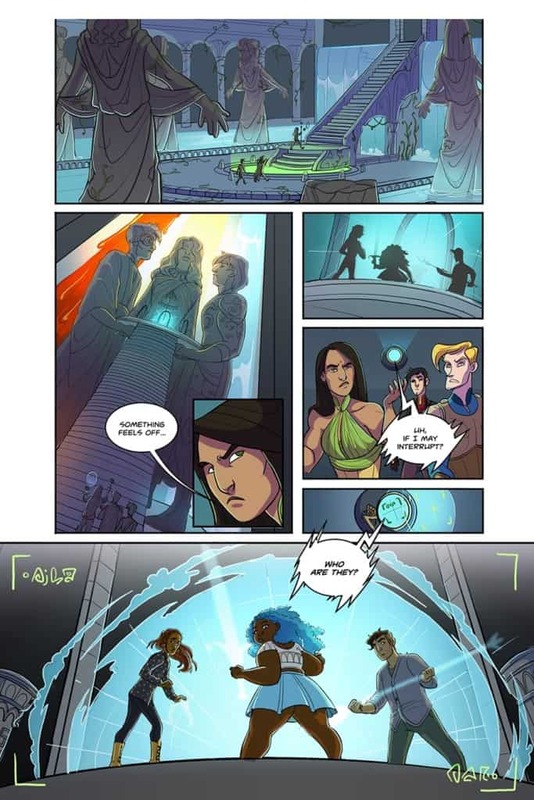 In her off hours, Haynes works on her webcomic, The Substitutes, which she describes as a personal project to encourage herself to draw more and keep up with her art outside of work. 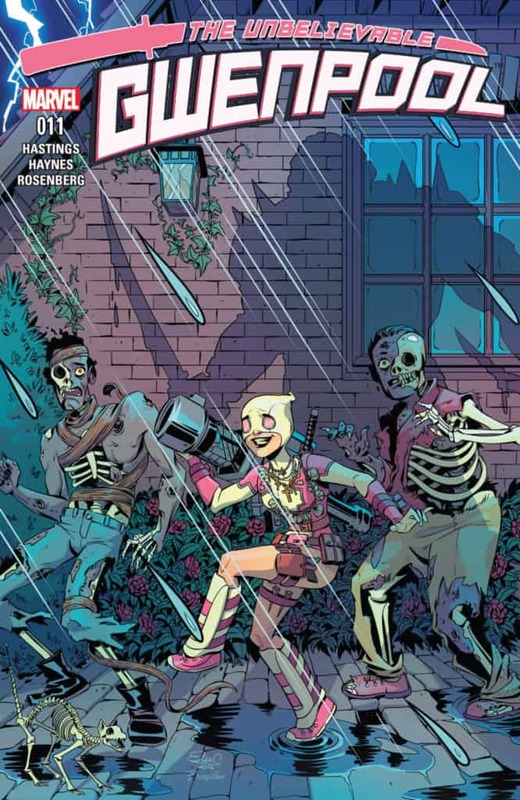 Haynes posts a new installment of The Substitutes every two weeks and even attends a number of comic conventions where readers recognize her work. 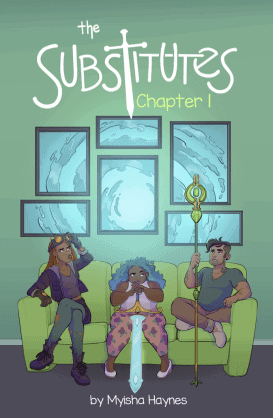 Haynes has independently published one volume of The Substitutes through Kablam!, which she sells through Hiveworks comics, and hopes to continue creating a full-length book for the story. New posts every other Tuesday! According to Haynes, it was Academy of Art’s academic program that equipped her with a solid artistic foundation in composition and color theory. The experience she earned in school provided her with valuable and personal guidance from both faculty and peers. So what is Hayne’s ultimate advice for current Academy students?